As a photographer and former online dater myself, the hundreds of online dating photos I came across made quite an impression on me. There were so many people I wanted to message, not to express romantic intentions, but instead to say, "I'm sure you're a very nice guy, but by posting that bad mirror selfie, you make me think you have no friends or family who care enough to hold a camera for you. Please let me take a better photo of you!" In defense of the mirror selfie guy, it's easy to flip through photos of people you don't know and say yay or nay fairly quickly (on average women spend all of 84 seconds evaluating an entire profile1). But, actually coming up with photos that accurately represent who you are and at the same time are likely to give you your best chance of finding love is easier said than done. With that in mind, here's a list of concrete tips to help men who are new to the online dating scene as well as seasoned veterans (don't worry ladies, your tips are coming next week!). 1. Don't show yourself surrounded by other women (it doesn't matter if it's your sister, don't do it). 2. No computer photos or bathroom mirrors. Let's make that no mirrors at all (case in point below). 3. No shirtless photos unless you're in really good shape, and want to be "that guy" who posts a shirtless photo. 4. Don't use a photo in which you're so far away that your potential love interest can't tell what you look like - same thing applies to close-up photos with sunglasses and a hat. 5. Man's best friend really is man's best friend. An OKCupid study found that men shown with animals receive more messages that any other type of photo. (If you have any doubt of this, Men and Their Dogs will cure you of it.) Close runners up are photos of men showing off muscles or doing something interesting. 6. Don't give priority to travel, drinking, or outdoors photos. The same study found those to be less likely to generate messages. 7. Ditch the cell phone camera. According to another OKCupid study, photos taken with camera phones are found to be the least attractive (DSLR photos are the most attractive - cue shameless plug for hiring a professional photographer). 8. Natural light is best if you don't want to look older than you are. The same study determined that using a photo taken with a flash made the subject look seven years older than they actually were. 9. Look away from the camera and don't smile.A 2011 study in emotion showed that women prefer photos of men who were not smiling and looked proud. Researchers believe that this might have to do with the fact that pride is associated with masculinity. 10. Think twice before putting on that suit. Photos of men dressed up fared worse than normal clothes photos according to this OKCupid analysis. 11. To the left, to the left...A Wake Forest University study determined that photos that showed the left side of the face were viewed as more pleasant than those that showed the right. 12. Make sure you have at least four photos on your profile. According to 2013 stats compiled by eHarmony, people who had four or more photos on their profile received the most communication from their matches. 13. While you're at it, make sure one of those shows your full body. A Zoosk's study of almost 4,000 subscribers reported that those who included a full body shot received 203% more messages than those that showed less. Help Me Design My Business Cards! I'm designing my headshot business cards (there will be a different set for beauty portraiture) and moo.com offers a great one which lets you print five different images for the back. When I meet a potential client, I can fan out the five different images and they can choose which one they like best. Problem is I'm not sure which ones to pick, so I want to throw it out to you - the experts! Take a minute to vote for your favorite five below! You've seen the announcement for the headshot mini-marathon session, but perhaps you're still on the fence about whether to sign up. The group photo from that conference you attended a couple years back where you cropped out your coworkers has served you pretty well. You're rocking a power suit in it - what more could a future employer ask for?? 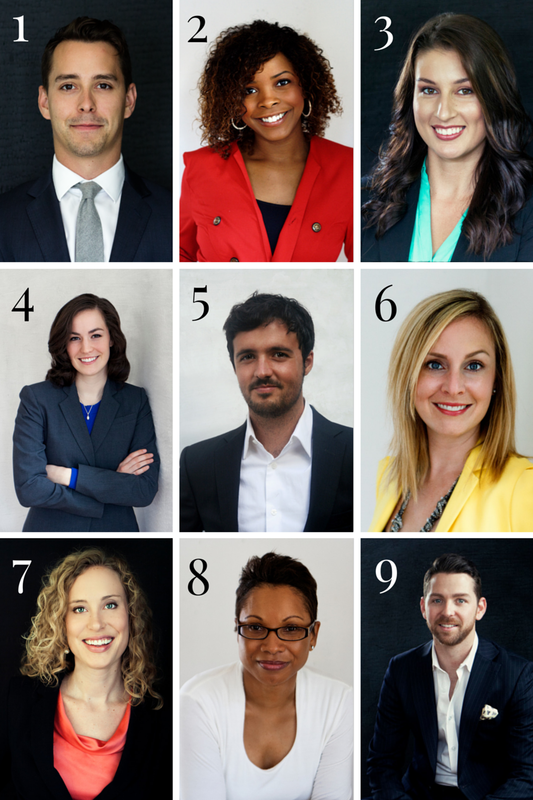 In the event that the more you think about your current headshot photo, the more doubts you have, I encourage you to read through the list of 15 reasons why you should get a new headshot. 1. You're ready to show your best self to the world. 2. Perhaps you got some fabulous new glasses. 3. Or, finally grew out that beard. 4. You got a new hairdo. 5. You've been working out hard this summer and want to show off the fit new you. 6. It's the end of summer, which means you've been soaking up the rays all summer and are glowing. 9. You want to look like a million bucks and have a salary to match. 10. You might be asked for a headshot tomorrow and you don't have one. 11. You started writing a blog and you wouldn't be a real blogger without a headshot. 12. Perhaps 10 years or so have passed between now and when the headshot you're currently using was taken. 13. Your current headshot is a selfie. 14. You want to look and feel like a model... and you will, once the Best Face Forward hair and makeup artists are done with you. 15. You want one of those 5 limited spots. 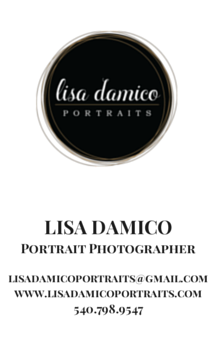 If you answered yes to any of the above 15, book your session with Lisa Damico Portraits by calling 540-798-9547 or emailing lisadamicoportraits@gmail.com.